Home F1 Sainz: "I'm looking forward to my first race at McLaren"
The Spaniard starts a new stage in his fifth year at the World Cup excited and confident for the work he has done with his engineers. To say it, always supposes a special moment: we are in a week of great prize! After three months of piecework in the factories, of making pieces and testing, this Friday officially starts the 2019 World Cup in Australia with the first free. 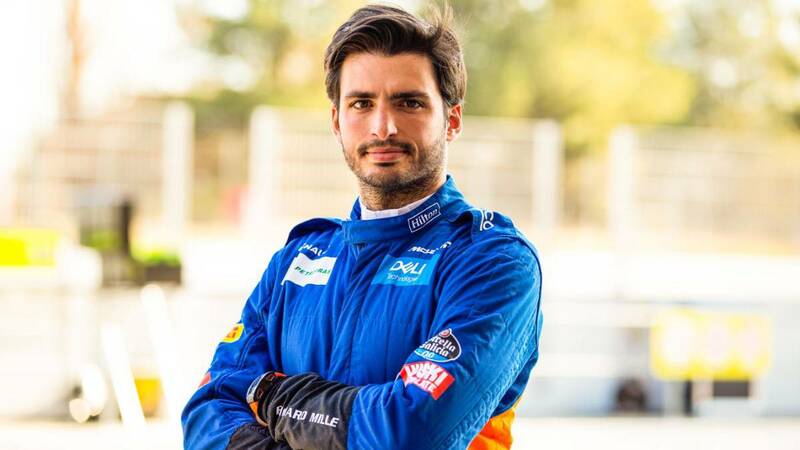 A date expected by many: for those who make their debut, for those who return, for those who renew their goals ... and for those who change their team, as is the case with Sainz, who can not wait to run his first race as a driver. McLaren. "After two productive weeks of testing, I am excited to really start the 2019 season. Melbourne is the perfect place to start, I will always remember my Formula 1 debut here and my first points in the championship today, I am Wishing to compete in my first grand prix with McLaren ", confesses Carlos in a team statement. Emulating his debut in the category, when he was ninth, would start his career in Woking with a good footing, although he surely aspires to more. Equally anxious to compete is his partner, a Lando Norris who will be one of the three debutants with Russell (Williams) and Albon (Toro Rosso): "This weekend marks the beginning of an important new chapter in my career I am excited to debut in F1 and ready for the challenges ahead." And the boss of both, Gil Ferran, expects a tough battle after the big teams: "This season promises to have a tight competition" . We are looking forward to it ... and see McLaren at the height. This Friday, prime ros free practice of the GP of Australia: 2:00 and 6: 00.